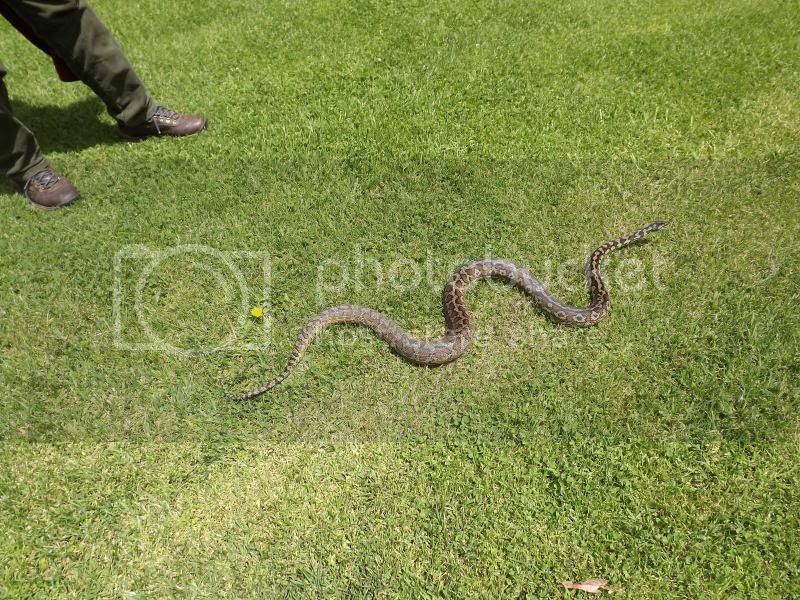 Last weekend I had a delivery of a dragon to Mt Gambier in South Australia which coincided with a BBQ for a group of reptile owners who I know - so I grabbed a few photos of some of the snakes there. This guy is "Fluffy" ! 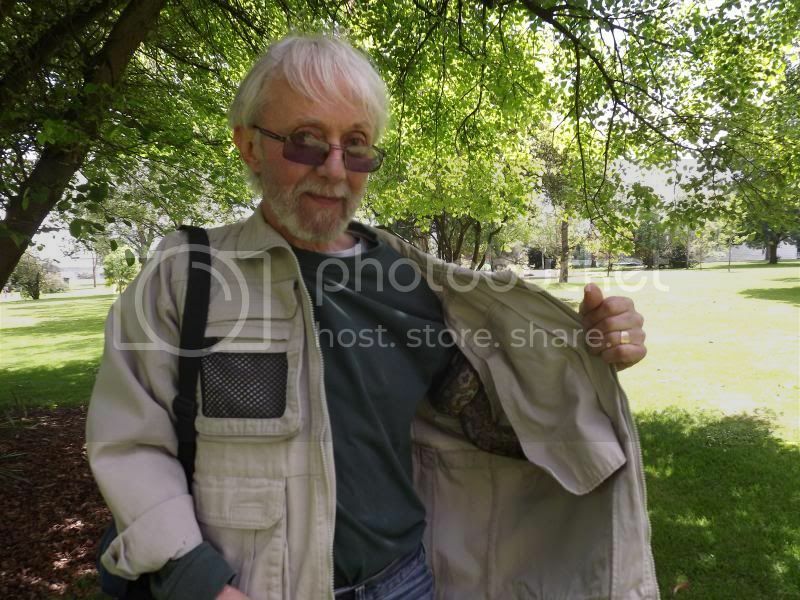 For some reason all the pythons took a liking to my jacket and spent time investigating it. 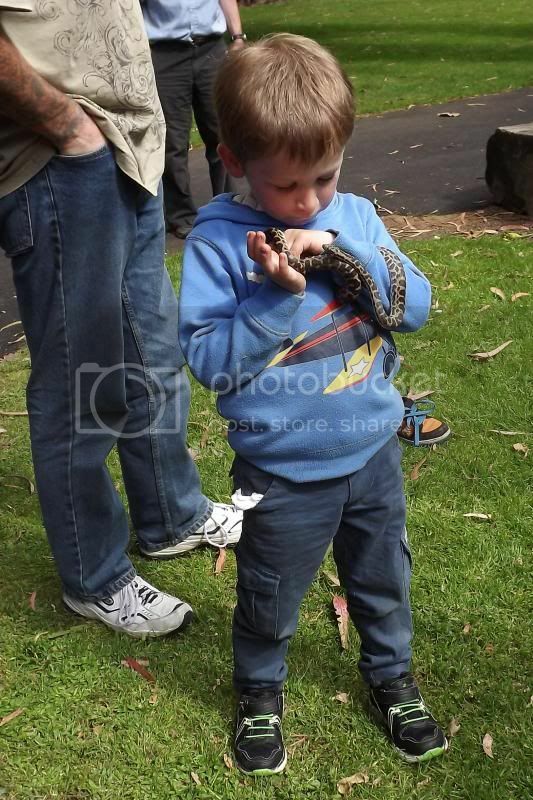 We also had smaller snakes for smaller owners - this kid is cuddling a Spotted python which is about half grown. 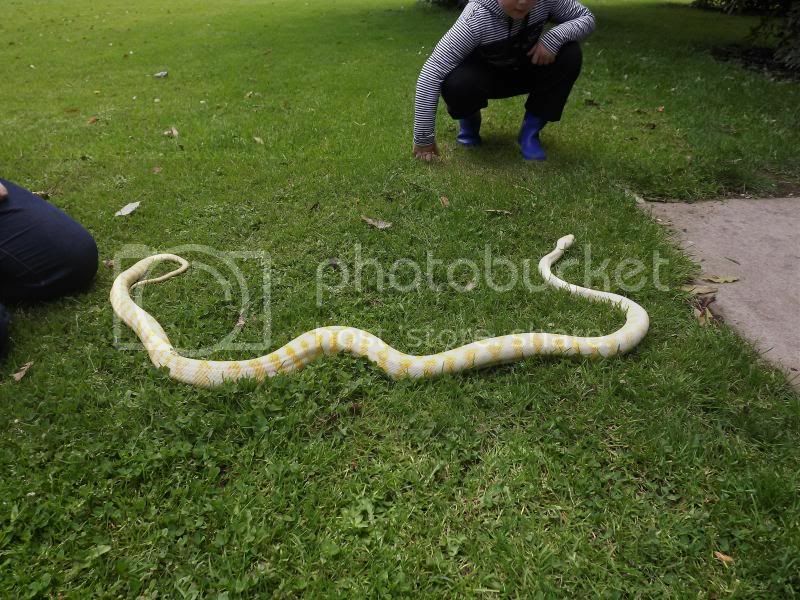 Duchess is an albino Darwin python and as you can see is a reasonable size (nearly fully grown). She also took a liking to me but no photos as with her she was wrapped around my right wrist and fore arm, then stretched across my back, around my upper left arm and down my sleeve - effectively I was immobilised and it took a couple of people to untangle us when it was time for her to go home. 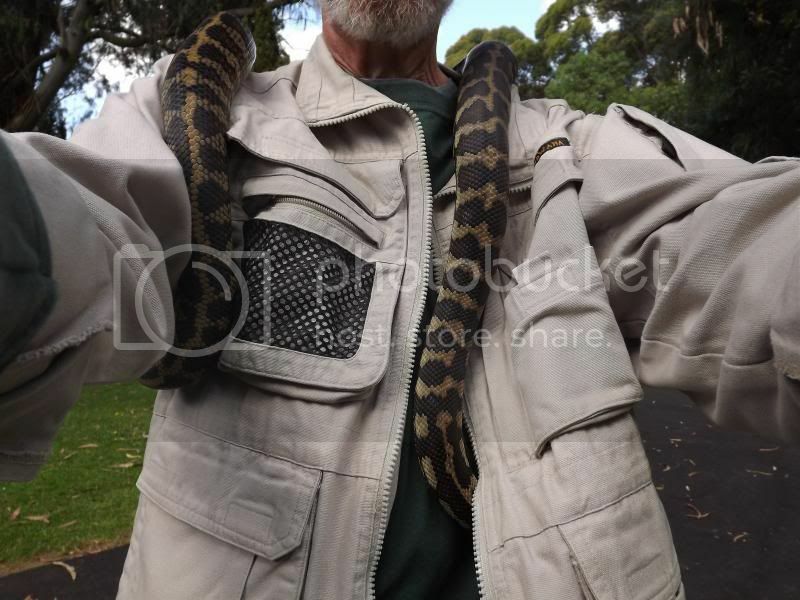 Pandora - another Darwin fell in love with me and spent an hour in my jacket wrapped round my upper arm - needed help when it came to peeling her off me! Great pictures - but I did have a shiver down my spine! 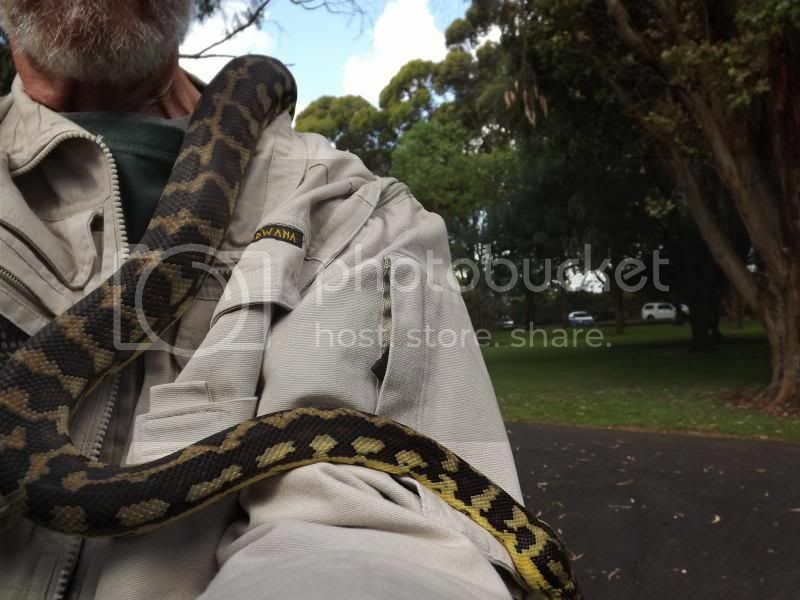 Sorry - but I just don't do snakes! Awesome mate. Looked like good fun was had. You can always rely on me, Rick! I really want a snake but my "better" half won't allow it. It's because she doesn't like them but in honesty I think I should stick with 1 reptile anyway. Reuben's my boy! I would have abandoned my tour to look at some reptiles most definately .